hei hei from the disney movie Moana is now a hat! 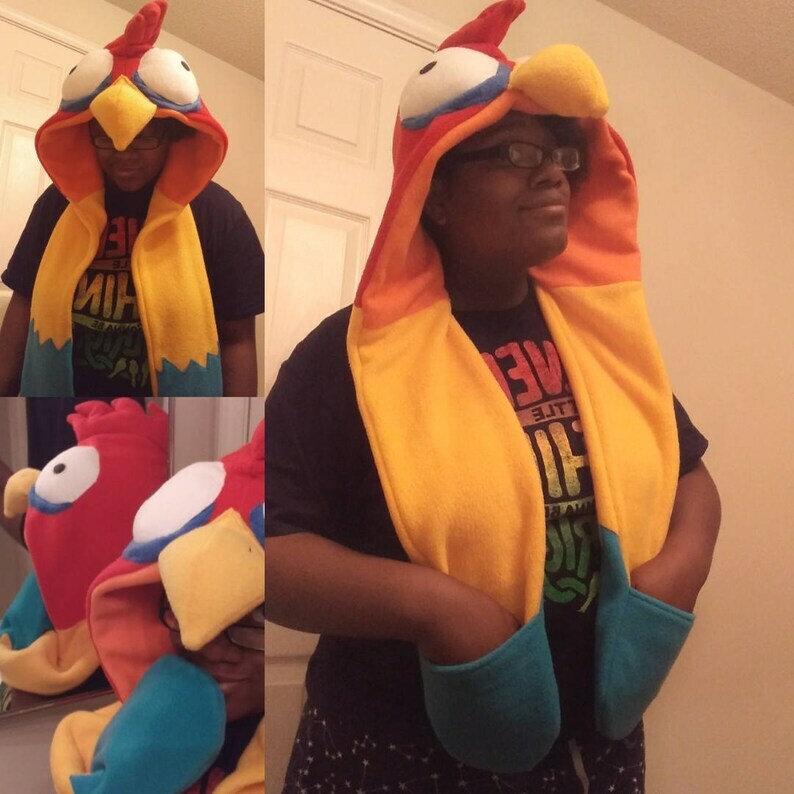 The Hei Hei scoodie is perfect! Well made, looks great and super comfortable, perfect for what will be a chilly Halloween. The seller is super responsive to messages and answered all questions in a timely and patient manner. Even more perfect in person! SNORLAX SCOODIE scarf hoodie from POKEMON!